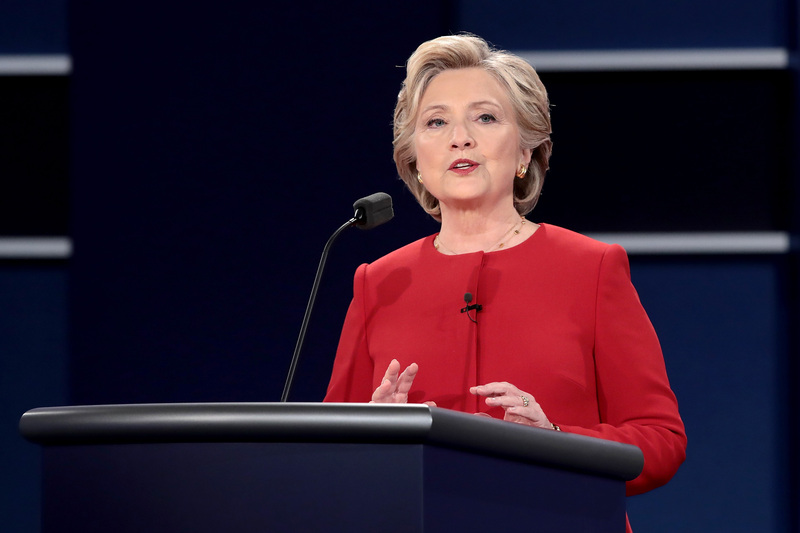 At the first presidential debate Monday night, Hillary Clinton issued a pretty good burn when she said that Donald Trump's economic plan is the worst example of trickle-down economics. "I call it Trumped-up trickled down," Clinton said. It's a pretty good burn, when you consider he's been calling her "Crooked Hillary" for the last year or so. The comment came after Clinton called Trump's economic plan, "Trickle down economics all over again. In fact, it would be the most extreme version, in fact it would mean the biggest tax cuts to the top one percent of the country. I call it 'Trumped-up trickled down.' Because that's exactly what it would be. That is not how we grow the economy." The phrase perked up viewers' ears immediately, considering it was some rare wordplay on Clinton's part. She's endured plenty of name-calling from Trump, that's for sure, but to some, this still sounded like a less-than-spontaneous burn. Indeed, Trump's economic plan is extremely conservative, proposing tax cuts for the wealthiest Americans, while Clinton has proposed a four percent surcharge on incomes above $5 million a year. She would mandate a minimum 30 percent tax rate for those earning $1 million a year. Hey, if name-calling isn't her strength, maybe that's not the worst thing?